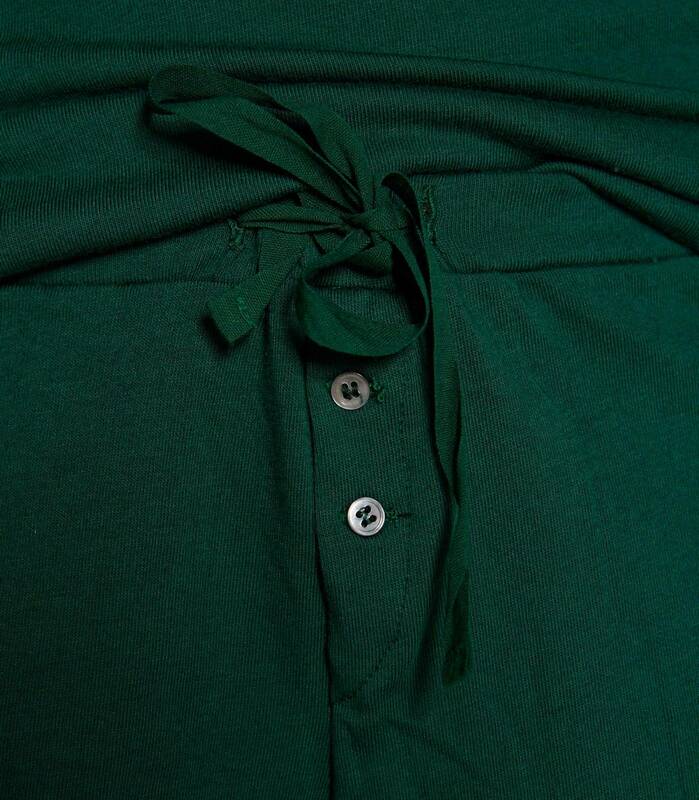 Short, two-piece poplin pyjamas. The top piece has a masculine design with collars, long sleeves with cuffs and a front pocket. Short, low-rise bottoms with an elasticated waist. Made in a very soft, tactile fabric.